조선시대에 고려 태조를 비롯한 4왕과 고려조의 충신 16인의 위패를 모시고 제사를 지내던 숭의전이 있던 자리이다. 태조 이성계는 1397년에 고려 태조 왕건의 전각을 세웠고 정종 원년(1399)에는 태조 외에 고려의 혜종, 성종, 현종, 문종, 원종(충경왕), 충렬왕, 공민왕의 제사를 지냈다. 그후 세종 5년(1423), 문종 2년(1452)에 고쳐지었다. 문종 때는 전대의 왕조를 예우하여 ‘숭의전’이라 이름 짓고, 고려왕조 4왕인 태조, 현종, 문종, 원종의 위패를 모시고 고려의 충신 16명을 함께 제사지내게 하였다. 건물의 관리도 고려왕조의 후손에게 맡겼는데 이것은 조선왕조가 고려 유민을 무마하여 왕족의 불평을 없애기 위한 하나의 방법이었다. 일제시대에는 조선총독부가 이를 계승하였으나, 한국전쟁으로 전각이 소실되었다. 완강하게 조선을 거부하였던, 고려시대의 왕씨 문중들이 갖가지 설움을 억누르면서 옛 고려왕조를 사모한 충절이 깃들인 곳이다. 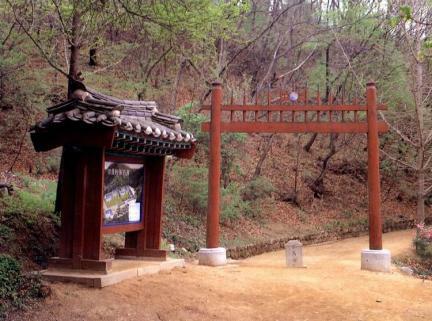 This is the site of Sunguijeon Shrine, which during the period of the Joseon Dynasty was a place for sacrifice to eight of the kings of the Goryeo Dynasty including King Taejo, and for honoring their mortuary memorial tablets. 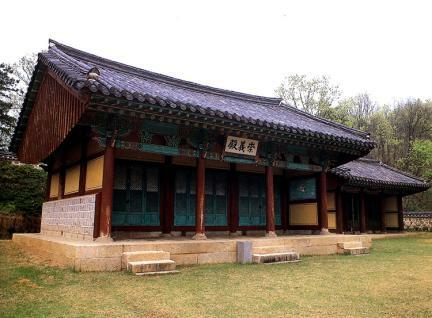 Yi Seong-gye, the founder of the Joseon Dynasty, built Sunguijeon to enshrine King Taejo in 1397, and King Jeongjong performed religious services to seven other kings of Goryeo: Hyejong, Seongjong, Hyeonjong, Munjong, Wonjong, Chungnyeol, and Gongmin, from the first year of his reign (1399). 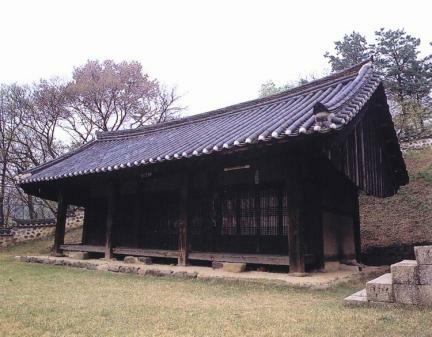 The shrine was repaired in the reigns of King Sejong the Great (the 5th year of his reign, 1423) and King Munjong (the 2nd year of his reign, 1452). 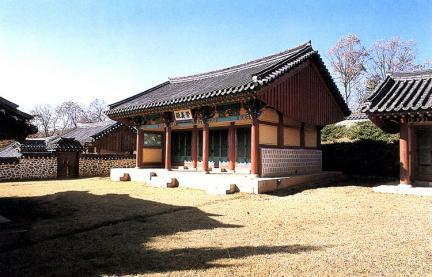 In Munjong’s reign, it was renamed Sunguijeon Shrine to hold ceremonies where the mortuary memorial tablets of the four great kings of Goryeo, Taejo, Hyeonjong, Munjong and Wonjong were honored, and religious services were performed for them and also for fifteen loyal courtiers in the Goryeo Dynasty. 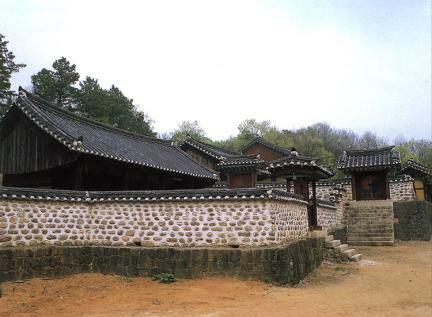 Descendants of the Goryeo Dynasty were charged with the task of overall management and administration of the shrine. In fact, this was a political obligation enforced by the Joseon Dynasty to neutralize dissatisfaction on the part of members of royal family and drifting people who were oriented to the former dynasty. In the Japanese colonial period, the shrine was managed by the Government-General of Joseon but was destroyed, and disappeared during the Korean War (1950~1953). 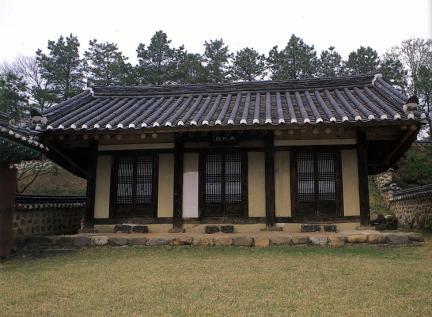 Sunguijeon can be seen as a place of fidelity to the Goryeo Dynasty as well as affection for its past glory on the part of the former royal family and wandering people - the surname of the Goryeo royal family is Wang, which also means “king”.